Much to an Icelander’s delight it’s rhubarb time! It grows like wildfire in Iceland. Incorporated into cakes, pastries, custard pies and even rhubarb wine* it’s almost an Icelandic staple. And of course there’s the zingy sweet/sour rhubarb jam that is near and dear to every Icelanders’ heart and table. Rhubarb jam is often an accompaniment to roast lamb and even fish cakes. Oli says that if there is even a slight chance that someone will dip a teaspoon into rhubarb jam, you’ll find it on the table. Pair the jam up with some whipped cream and it’s the quintessential filling for Icelandic pancakes. We’re not talking thick, fluffy breakfast pancakes. 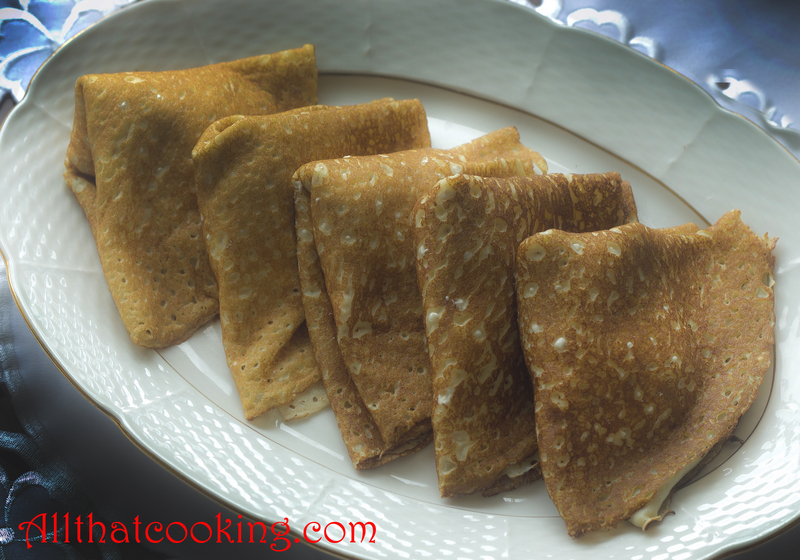 These are wafer thin, delicate crêpes that are special occasion desserts. 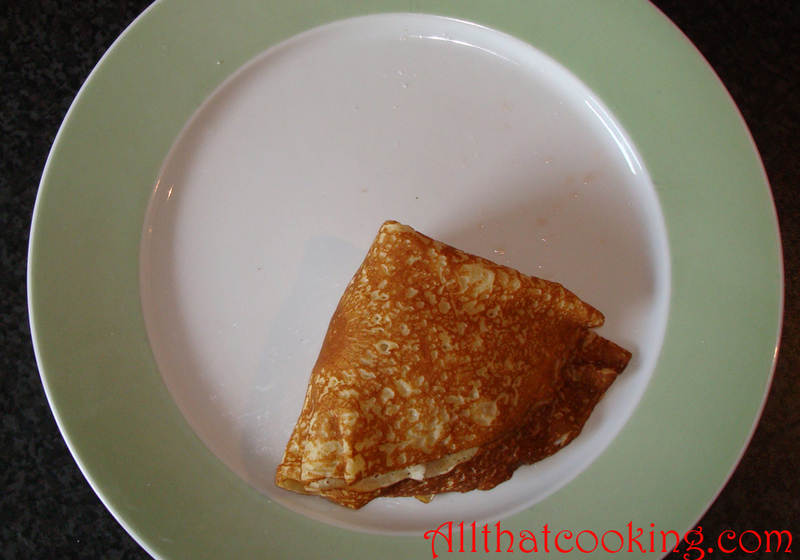 If you’ve never tried your hand at making crêpes, you’ll find that they are quite simple to make. It just requires that you be quick after pouring the batter into the pan. 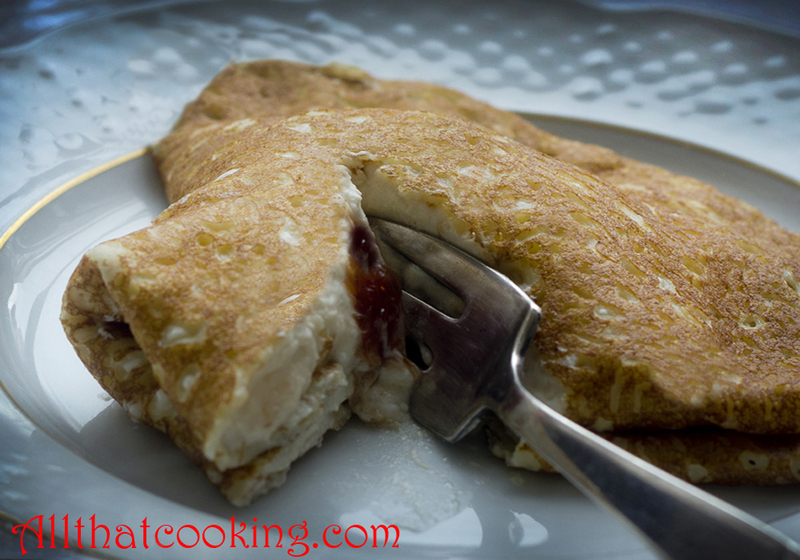 They only take a few seconds to turn a beautiful golden brown and then you are ready to fold the crêpes over a filling of well, an Icelander would say rhubarb jam and whipped cream of course, but you can be as creative as you please. Oli’s mother comes from Ísafjörður, a small town in the west fjords of Iceland where there’s not much sunshine in the winter. In fact there’s nary a sunbeam for a couple of months. At the end of January when the sun finally shines on the roof of a certain house on the street named Sun Street it’s huge cause to celebrate. 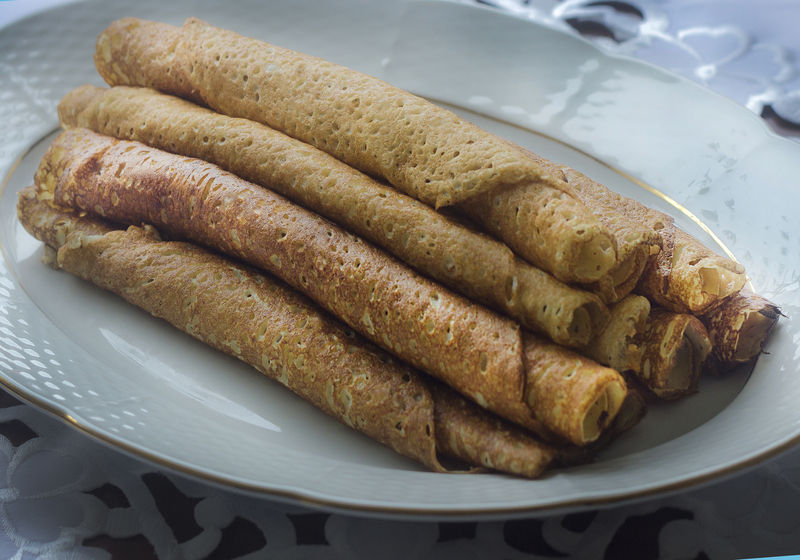 The locals welcome those golden rays by making and sharing these golden pancakes. The celebration, called “Sólarkaffi” translates to Sun Coffee. The townspeople carry this tradition to wherever they live. In Reykjavik the festivities take place in the biggest nightclub. A ticket to Sólarkaffi gets you dinner, live music performed by musicians from Ísafjörður and an evening of reconnecting with friends from near and far. The highlight of the evening is what everyone waits for – PANCAKES! What a great way to celebrate the long-awaited arrival of the sun. I think I’ll adopt this tradition as a way to celebrate our long-awaited arrival of spring. *A word about the rhubarb wine. Omar Gunnarsson is Iceland’s only winemaker and the only one in the world to produce a wine made entirely from organic crowberries, wild blueberries and rhubarb, all high unique due to powerful anti-oxidant/anti aging ingredients. This guy also holds the Guinness world record in yes, you guessed it, pancake making! 1. Whisk eggs, sugar and flour together in a large bowl. Make sure there are no lumps. 2. Whisk in milk, butter and vanilla. 4. Pour 1/4 cup of batter into the pan. 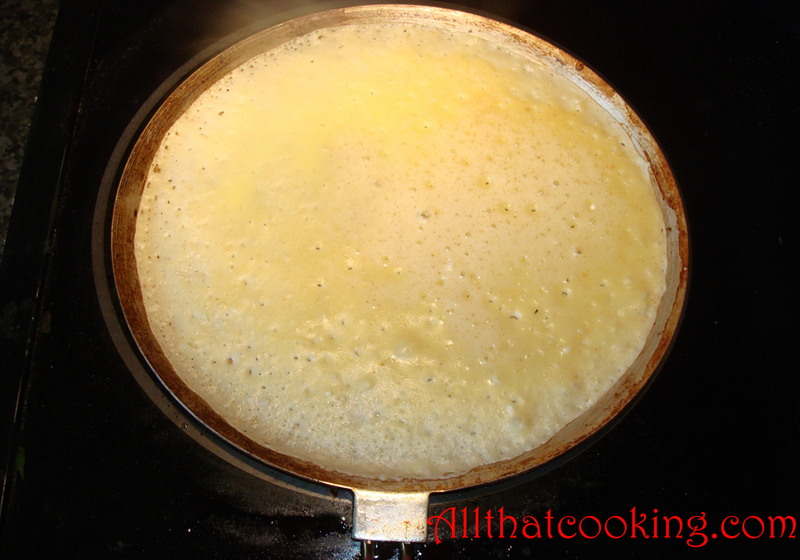 Quickly rotate the pan to evenly spread the batter over the entire cooking surface. 5. 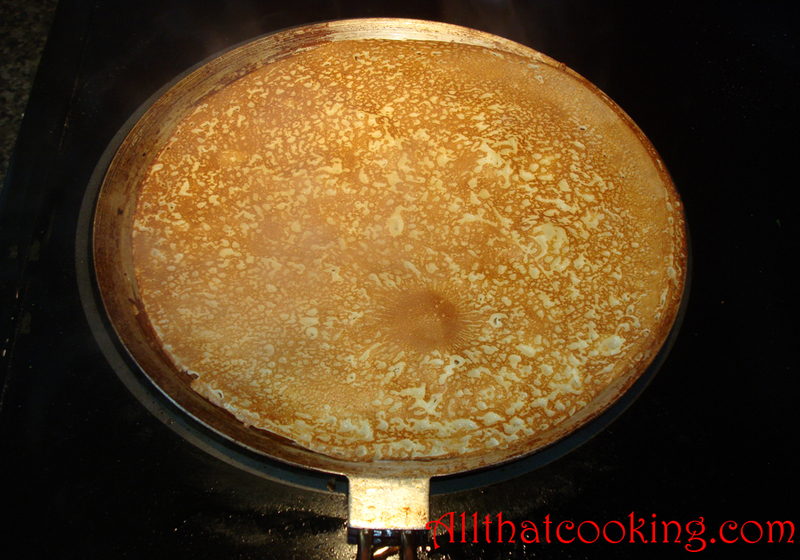 When bubbles start to form on top (10-20 seconds) and when you lift a corner of the pancake it is light golden brown, flip the pancake to cook the other side. This side will cook very quickly (about half the time it took for the first side). 6. 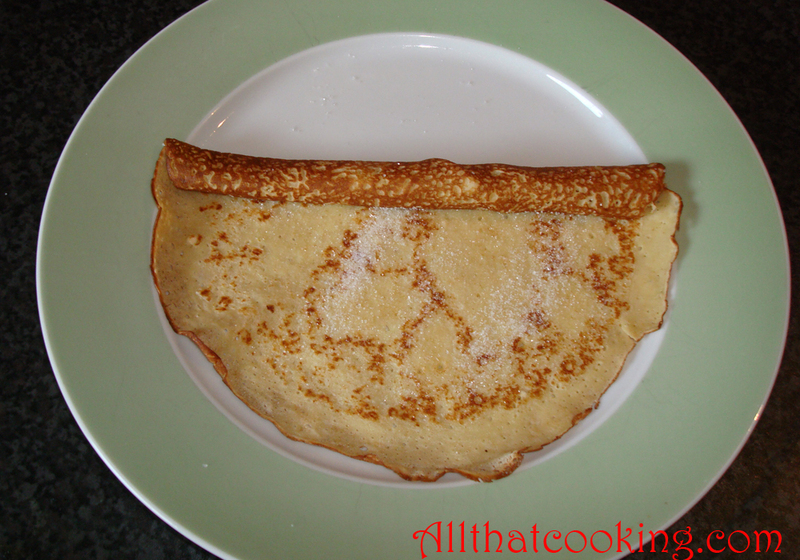 Remove pancake to a plate and make more pancakes. Stack the pancakes on top of each other as they are done. 7. Bring to room temperature. Cover with plastic wrap until ready to use. 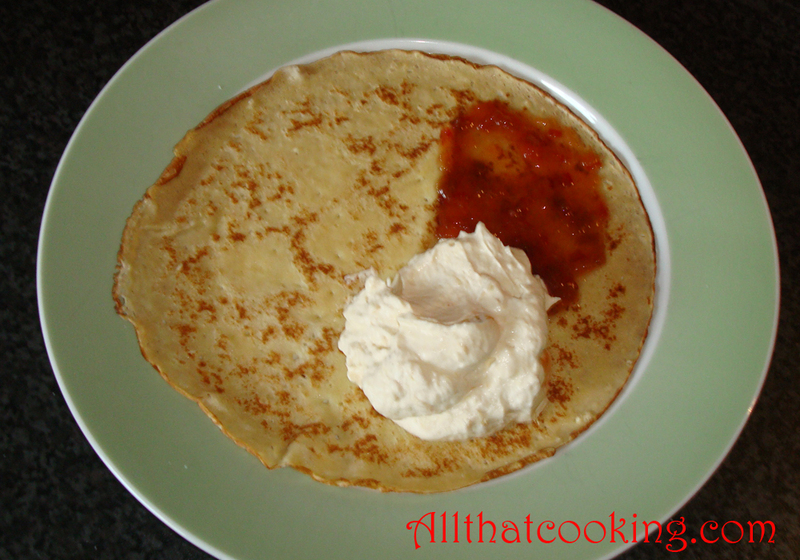 Classic Icelandic presentations are to simply fill the crêpe with rhubarb jam and whipped cream. 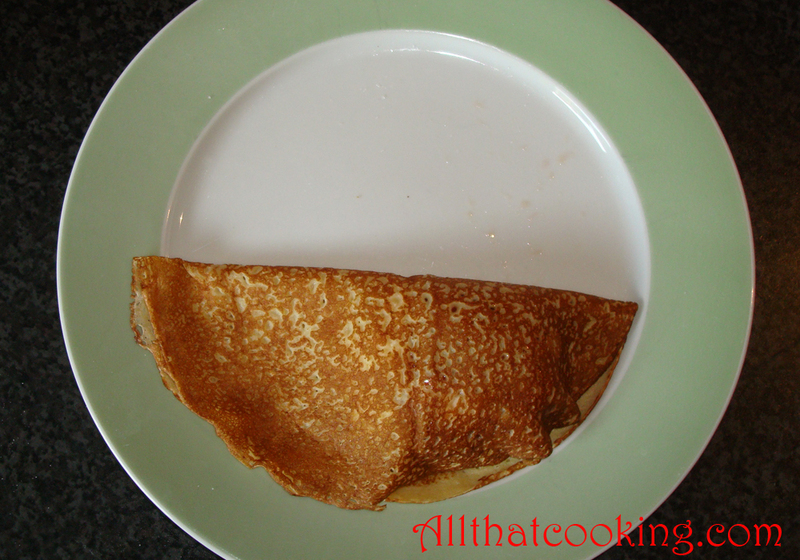 Fold the pancake in half and then over into a quarter. Sprinkle the pancake with sugar and roll it up. Gallery | This entry was posted in dessert crêpes, Desserts, Icelandic Classic and tagged dessert crêpes, Icelandic pancakes, Pönnukökur, rhubarb creme filled crêpes. Bookmark the permalink. They have turned out so beautiful. I must make a batch this weekend too. Thanks for sharing! PANCAKES ! It brings back good memories to read your lines and the pictures are very good and real. Sun Coffee celebrations are very popular all over Iceland with its delicious pancakes. A long time after the fact, but I’m so glad I ran across this article! Great information, written so well. You’ve done too good a job, in fact – I came here to get a recipe, and now I want to make a trip!